Access to Redding’s surviving family helps Gould flesh out his upbringing and offstage personality; he comes across as more quick-witted (“nobody ever taught him anything; he just knew everything,” his sister Louise says) and cocky (while working as an orderly at a hospital, he slapped one of the doctors) than his usual simple, solid image. Exhaustive research into Redding’s early years as a performer reveals both his dedication and his uncertain musical vision. One fascinating figure is Johnny Jenkins, a local guitar hero in Redding’s hometown, Macon, Ga., who takes Redding under his wing — opinions vary widely as to whether Jenkins was an underappreciated genius or an overrated showboat. 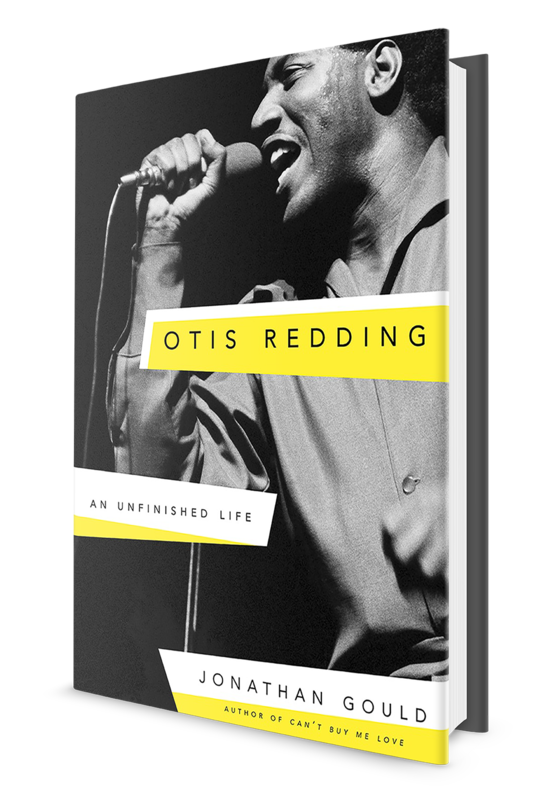 He plays a key role in the story, though, when he blows his 1962 audition at Stax Records in Memphis and Redding, who had driven Jenkins and his band to the gig, is allowed a turn at the microphone just to fill time at the end of the session. Music historians like Peter Guralnick, Rob Bowman and Robert Gordon have all done essential work on the history of Stax, but Gould takes a contrary and provocative position on the label’s relationship to its greatest star. He argues that while the Stax co-founder and head honcho Jim Stewart was scrupulous in paying his artists, creatively he was in way over his head; “his consistent misjudgment of records that proved to be hits” illustrated that he was “content to sit and wait for songs to walk in the door.” Gould makes a convincing case that, while Redding’s recordings are never less than compelling thanks to his remarkable voice, Stewart’s shortcomings — he couldn’t fathom the contemplative, almost folk-based “Dock of the Bay” — held Redding back as a songwriter and repeatedly stymied his popular momentum.